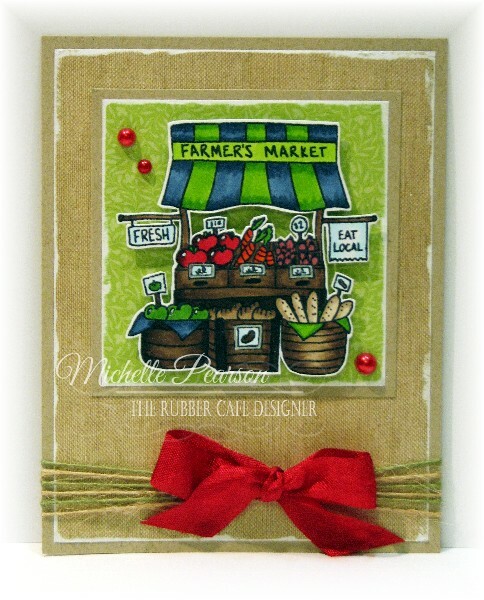 The Rubber Cafe Design Team Blog: Eat Local! 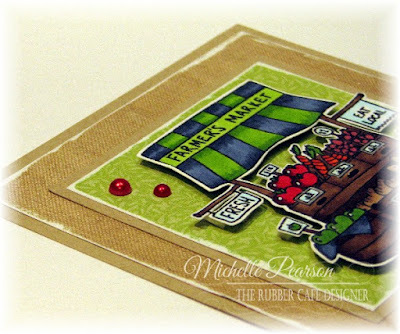 I've been loving the Farm Fresh Creative Cafe Kit from The Rubber Cafe this month. This image depicts the many farmers markets we see this time of year. I colored the image with Copic Markers and then fussy cut the image before popping it up on foam tape on a 3 x 3 inch piece of patterned paper. I sanded the edges of the the patterned paper for a fun rustic effect. The 4 x 5 1/4 inch paper is also from the Echo Park pad included in the kit and I sanded the edges as well. Here is a closer peek at the fun ribbon treatment. 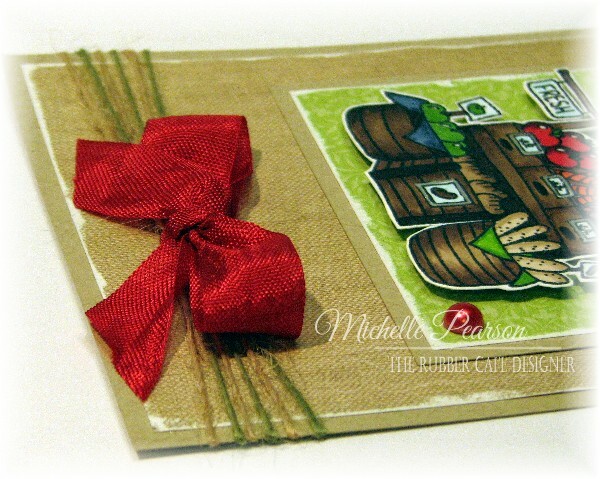 I wrapped the multi-colored twine around the card as shown and then I tied a red bow in the center. I added a few Berry Red Pearls for some fun pops of color.